Grenadier Burg of the 24th Regiment of the Guard of 1815. 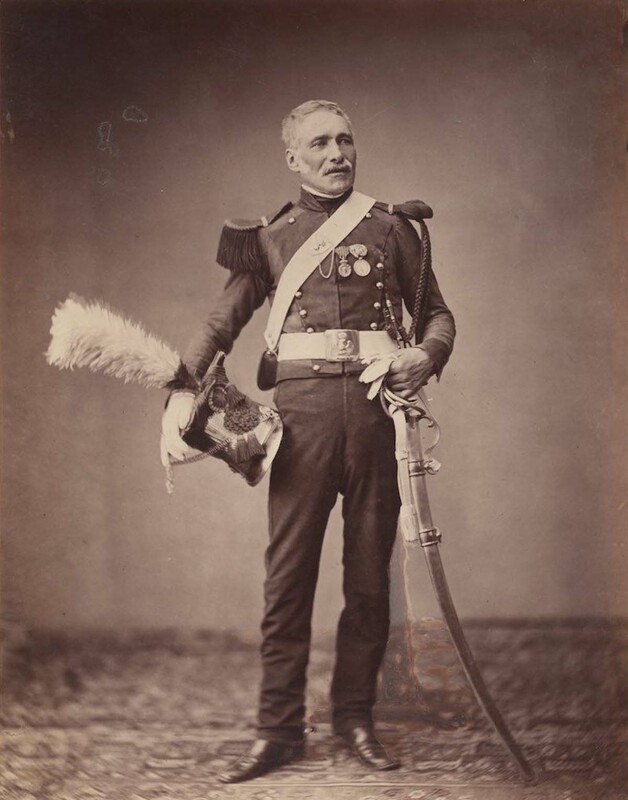 These remarkable photographs provide probably the only surviving images of veterans of the Grande Armée and the Guard actually wearing their original uniforms and insignia, although some of the uniforms have obviously been recut by tailors of the 1850’s. 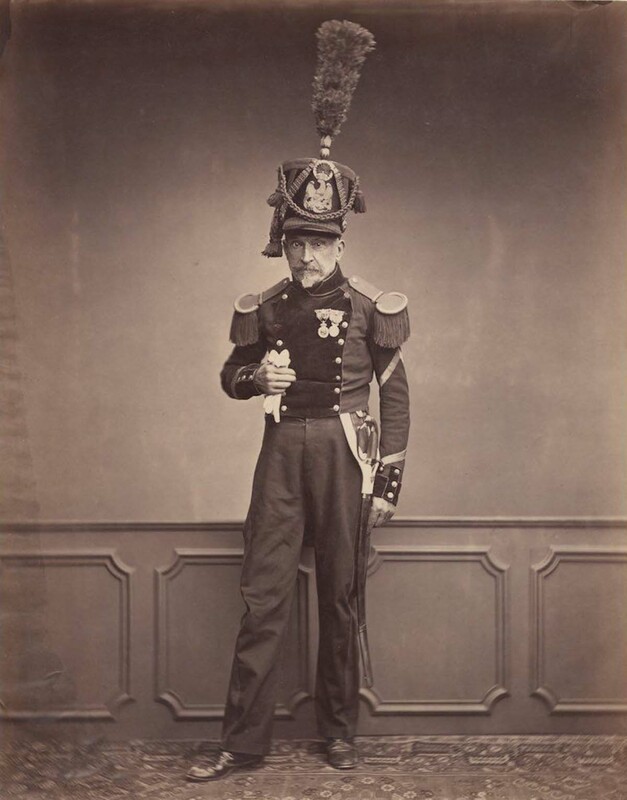 All the men — at this time in their 70s and 80s — are wearing the Saint Helena medals, issued in August 1857 to all veterans of the wars of the Revolution and the Empire. The men were well into old age when the pictures were taken, and some were clearly struggling to stay still for the length of the camera’s exposure (hence the blurring on some of the pictures). But they all look impressive in their uniforms complete with epaulettes, medals, sashes and plumes. The date of the event – May 5, 1858 – provides the reason why these men were in Paris for that was the anniversary of the death of Napoleon and every year on that date veterans gathered in the capital, as the Times of London in May 1855 noted: “The base and railings of the column of the Place Vendôme appear this day decked out with the annual offerings to the memory of the man whose statue adorns the summit. The display of garlands of immortelles, and other tributes of the kind, is greater than usual… the old soldiers of the Empire performed their usual homage yesterday at the same place”. On the same day, a funeral service was held in the chapel of the Invalides attended by Prince Jerome and other dignitaries. The entire personnel of the Invalides as well as soldiers of the First Empire were present. Napoleon’s armies conquered much of Europe but French dominion collapsed rapidly after the disastrous invasion of Russia in 1812. The wars revolutionized European armies and played out on an unprecedented scale, mainly owing to the application of modern mass conscription. The Napoleonic wars resulted in the dissolution of the Holy Roman Empire and sowed the seeds of nationalism that led to the consolidations of Germany and Italy later in the century. The global Spanish Empire began to unravel as French occupation of Spain weakened Spain’s hold over its colonies, providing an opening for nationalist revolutions in Spanish America. As a result of the Napoleonic wars and the losses of the other great powers, the British Empire became the foremost world power for the next century. 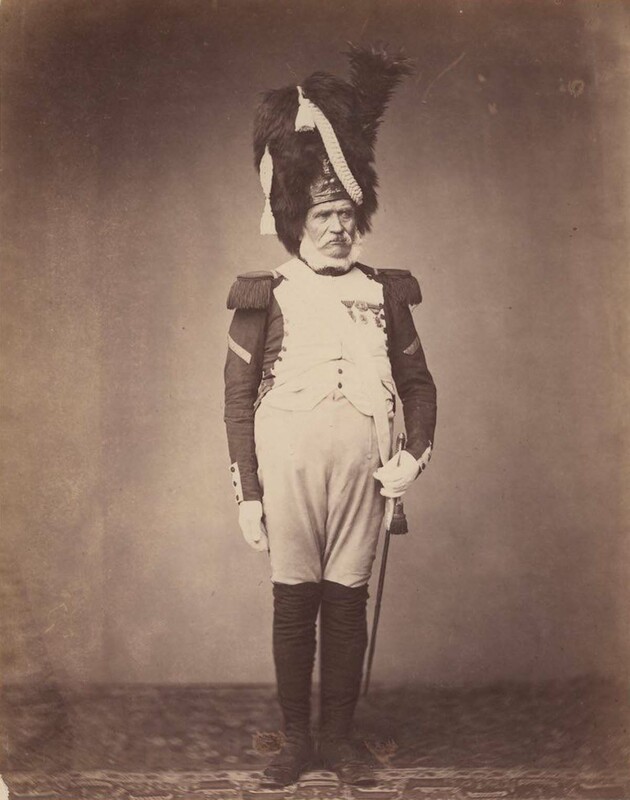 Monsieur Maire of the 7th Hussars circa 1809-1815. 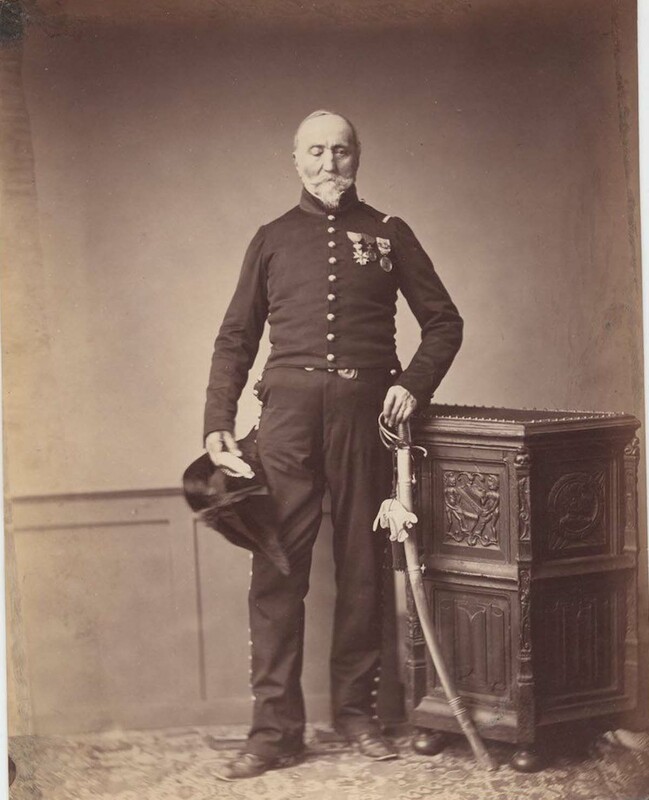 Monsieur Loria of the 24th Mounted Chasseur Regiment and a Chevalier of the Legion of Honour, who appears to have lost his right eye. 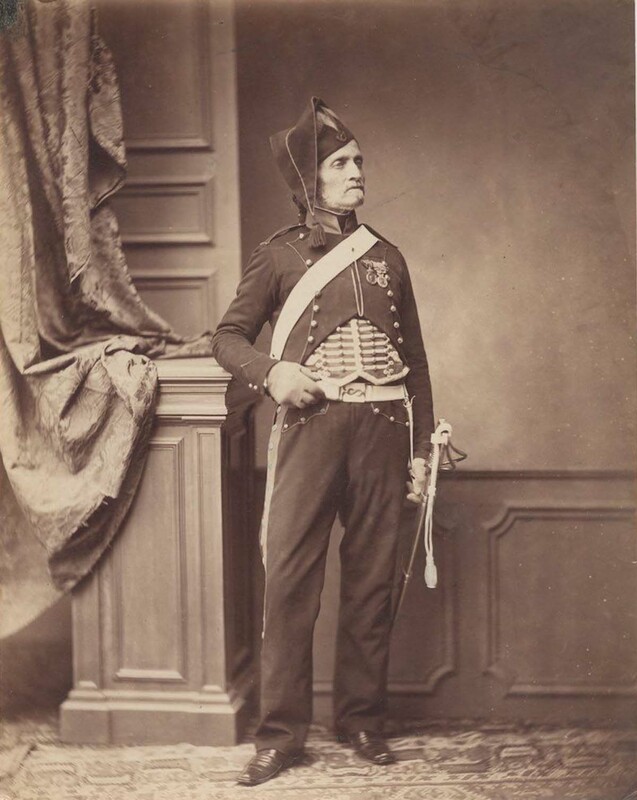 Quartermaster Sergeant Delignon in the uniform of a Mounted Chasseur of the Guard. 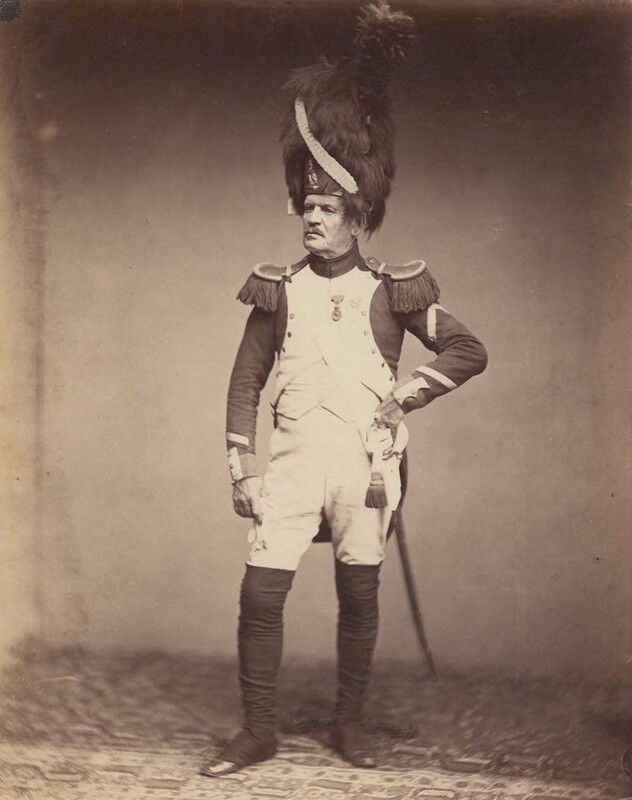 Sergeant Taria in the uniform of the Grenadiere de la Garde of 1809-1815. 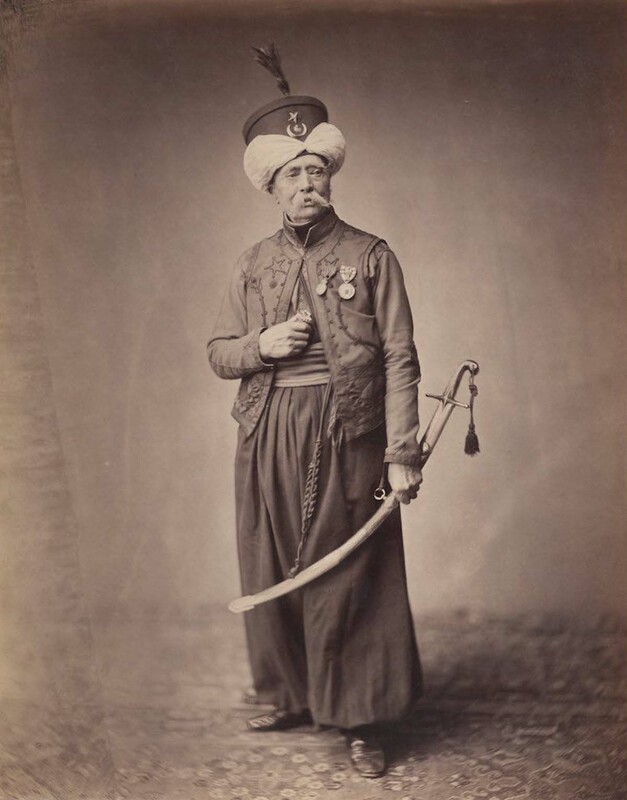 Monsieur Ducel, a Mameluke de la Garde. 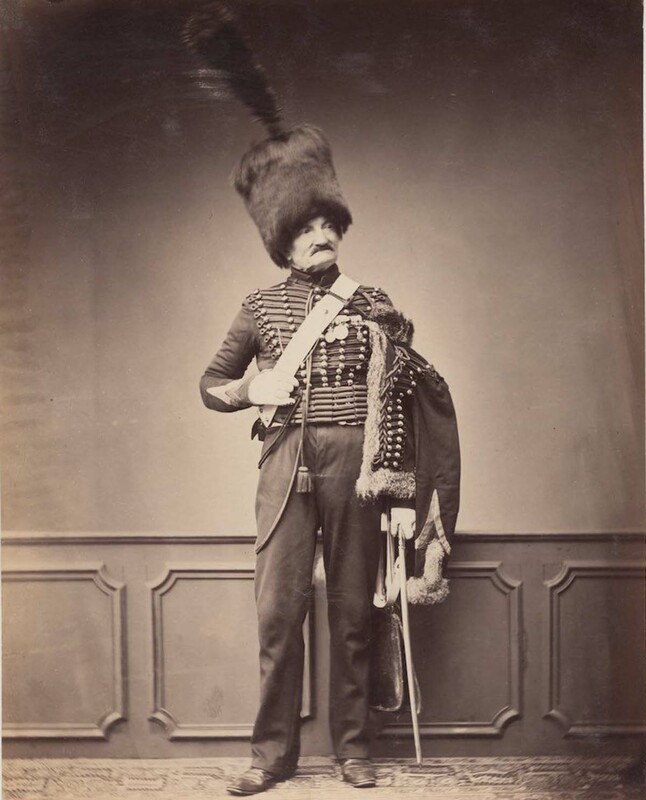 Monsieur Mauban of the 8th Dragoon Regiment of 1815. Monsieur Lefebre, a sergeant in the 2nd Regiment of Engineers in 1815. 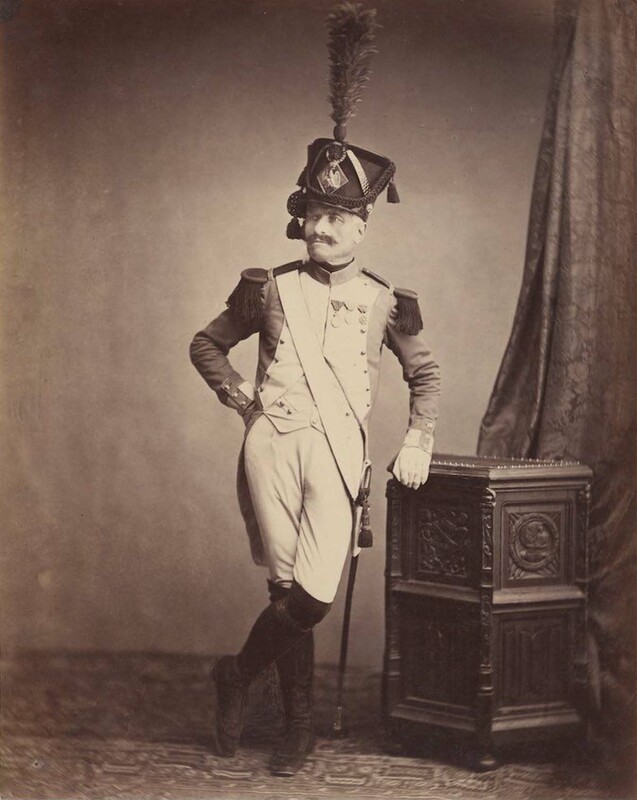 Pictured in his grand hussar uniform is Monsieur Moret of the 2nd Regiment, 1814-1815. 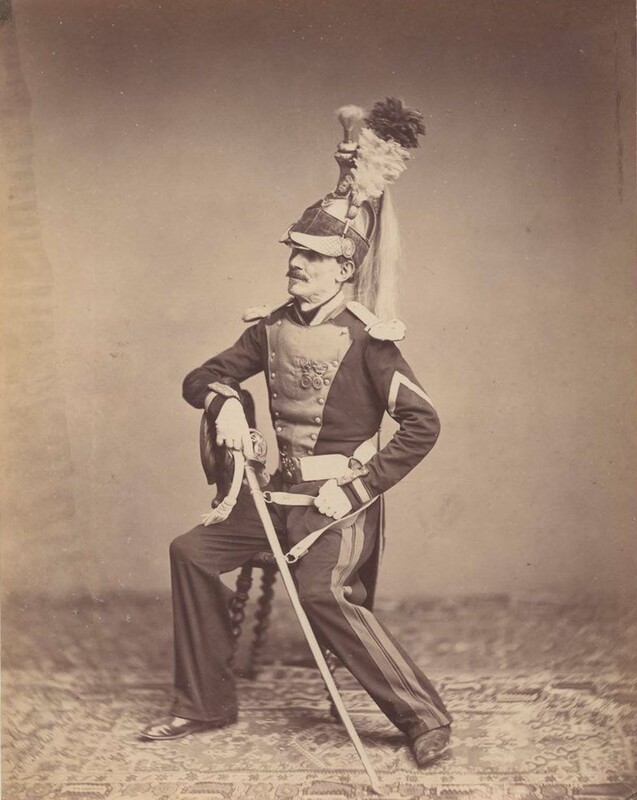 Monsiuer Dreuse of the 2nd Light Horse Lancers of the Guard. Monsieur. 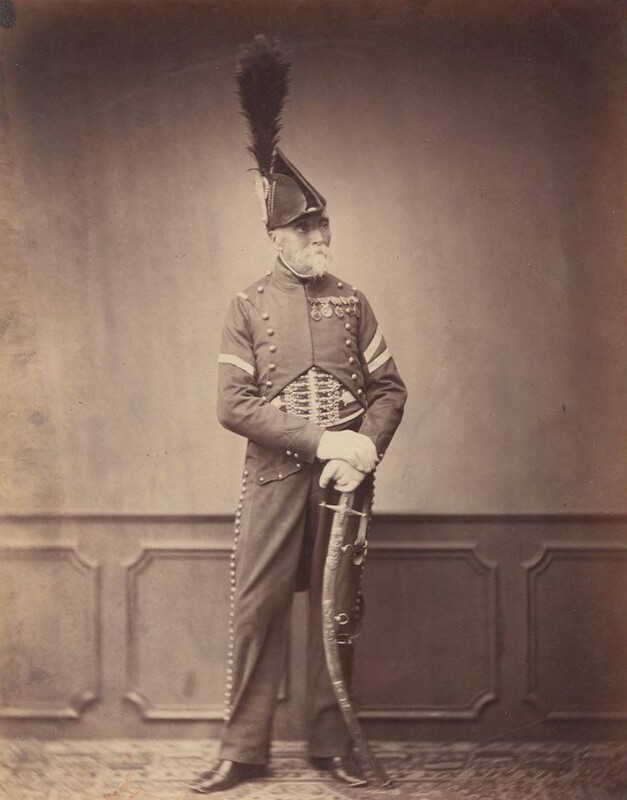 Verlinde of the 2nd Lancers. 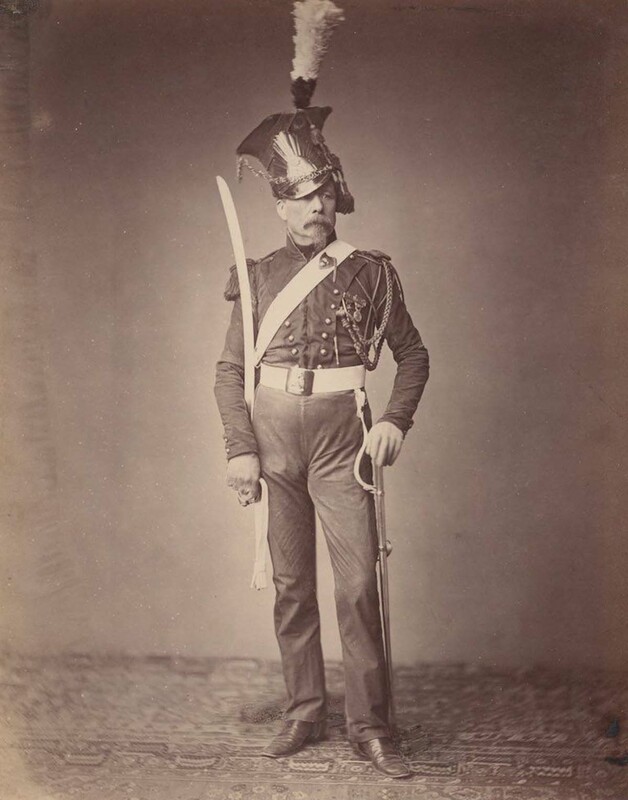 Monsieur Vitry of the Departmental Guard. 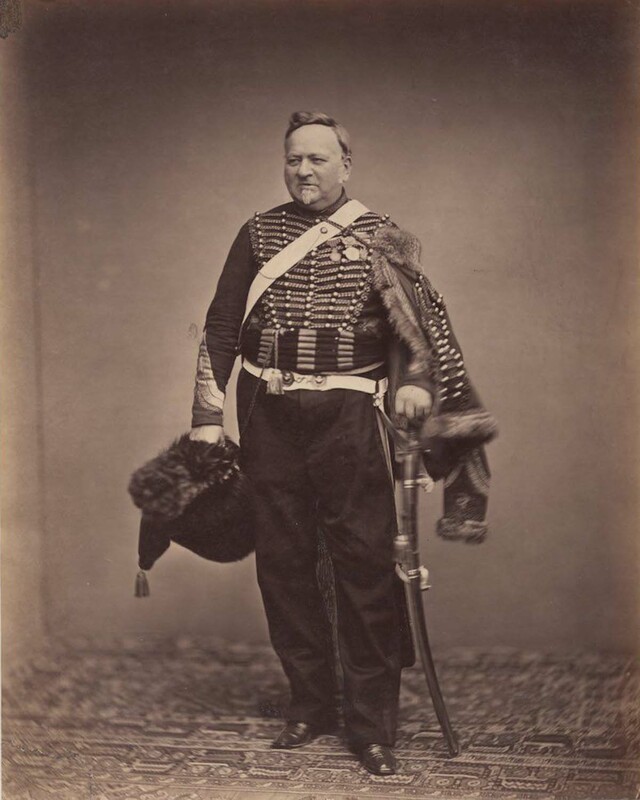 Monsieur Dupont who was fourier for the 1st Hussar. 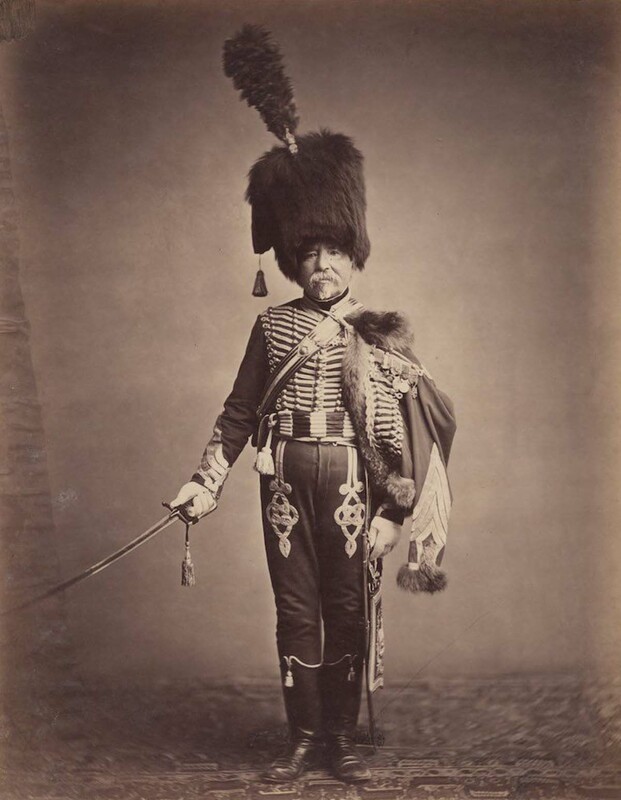 Quartermaster Fabry of the 1st Hussars. 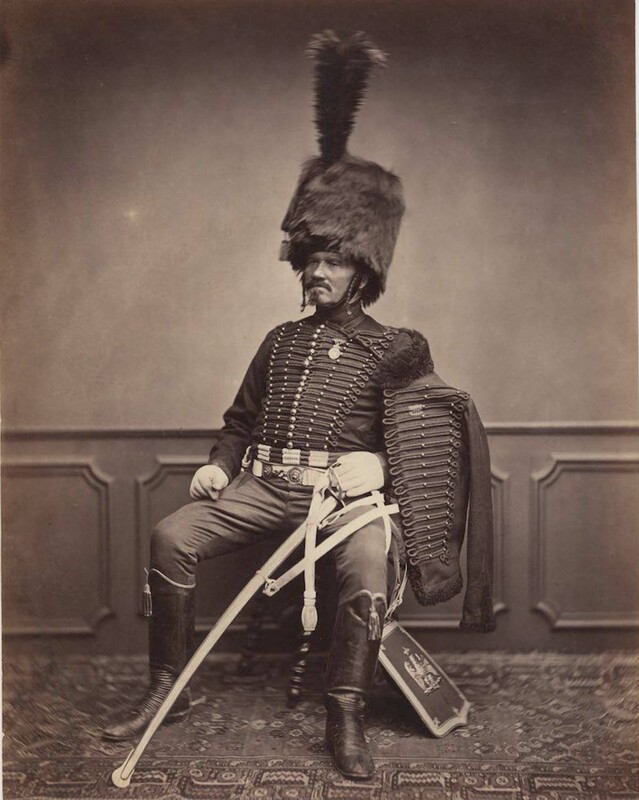 Monsieur Schmit of the 2nd Mounted Chasseur Regiment. (Photo credit: Brown University Library). Most of these fellas looked like they should have been getting their social security checks instead of playing dress up.